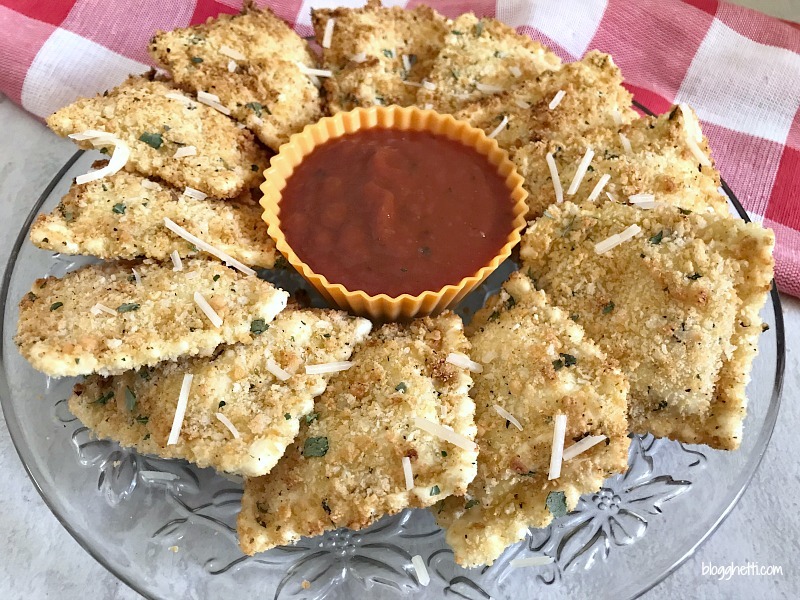 These crispy Air Fryer Fried Ravioli are a lighter, healthier version of the appetizer treat. Easy to make so they are a quick party appetizer or game day snack. In a shallow bowl, combine the panko, garlic powder, and Parmesan cheese, mix well. Take each thawed ravioli and dip into the egg, coating both sides. Then coat with the breadcrumbs on both sides, pressing lightly to make sure the coating sticks. Place ravioli in basket of air fryer, single layer and be sure not to crowd them. Cook at 400 degrees for about 4 - 6 minutes, or until golden brown. Remove and serve with marinara dipping sauce.